As a growing business your reviews mean the world to us, not only because we love hearing your feedback, but also because your feedback helps us to show others that we’re the real deal and not just another beauty brand promising the world and not delivering. We’re extremely proud of how far ivadore has come since it was established in 2015, but we would be nowhere without you, our wonderful customers and now we have just one favour to ask of you, we need your video reviews! But we’re not just asking you for a favour, see we believe in give and take so we’re giving you a reward for every one of your skincare video reviews and the chance to win some skincare too! Why does it have to be a video? If you spend much time on social media like us you’ve probably noticed video is everywhere, a quick Google of the stats on how much video we’re all watching these days will probably blow you away so like most businesses we need video content and we want that content to be real, authentic reviews from our customers, nothing fake, nothing air-brushed, nothing but your honest thoughts. How do we submit a video review? We’re so glad you asked that! Here’s what we’re offering you in return for your video review. If you share your review publicly on Instagram and Facebook and tag us we will send you a direct message with a voucher for 30% off your next purchase. In addition to your reward there will be 3 winners who will receive a prize for sharing on of the best three videos as judged by our judging panel. What products should I review? There is no reward for length, we’re all about the quality of your review, but we do ask that your video is 30 seconds – 1 minute in length. How long do I have to create and share my video? Who is eligible to enter this competition? We hope that answers all your most pressing questions, but please make sure to read the full terms and conditions below as well before entering. We can’t wait to see your videos and we’d like to thank you in advance for helping us out! Employees of ivadore and their close relatives and anyone otherwise connected with the organisation or judging of the competition is not eligible to enter. - Closing date for entry will be 5th of April 2018 by 5pm AEST. After this date no further entries to the competition will be permitted. b. Sharing the video publicly on your own Instagram OR Facebook account and tagging at @ivadore to receive a 30% off voucher for your next purchase by Direct Message from the platform you enter on. 5. In addition to the voucher code following the entry instructions above will allow you to go in the running to win the Main Prize as outlined below. 1. Entrants must not enter this competition if the privacy or post settings for their Instagram/Facebook account prevent the Promoter from viewing their entry and/or contacting them if they win. 8. Entrants who provide incorrect, misleading or fraudulent information are ineligible to participate in the competition and deemed invalid. 9. The Entry Materials must not be offensive, defamatory or contain otherwise objectionable or inappropriate material. 10. By entering this competition Entrants assign (and, if necessary, will in the future assign) all intellectual property rights (including copyright) in their Entry Materials in relation to all media (including but not limited to, the internet) to the Promoter. The 9. Entrant agrees for the Promoter to use an entry for any promotional or marketing purposes without remuneration. This includes, without limitations, posting a copy of your entry on Facebook Instagram or the ivadore website. 11. Entrants must be willing to have their name published on the Promoter’s Instagram, Facebook page and blog. 12. Entrants must have the right to submit the Content (including rights relating to copyright); the Content must be their own original creation; and they unconditionally and irrevocably consent to any act or omission which might infringe any moral rights they may have in the Content (as defined in the Copyright Act 1968 (Cth)). - Any literary, dramatic, musical or artistic work, any audio-visual or sound recording, or any other item in which copyright subsists, unless the entrant is entitled to do so. If an entrant has any doubts about whether they have the right to include any content they must not include it. By including any such content in their entry, the entrant warrants that they have the permission of the relevant copyright owner to do so and that this permission allows the Promoter to use the entry in accordance with these Terms and Conditions. Multiple entries from the same person are permissible, however all entries will be judged based on their individual merit. Internet and data charges apply and are the responsibility of the entrant. The cost of entering the competition will be dependent upon entrant’s individual Internet Service Provider. Winners will be chosen by an independent adjudicator or panel of judges appointed by the Promoter based on the quality and/or creativity and/or uniqueness and/or authenticity of the review video that forms the complete entry. The Winners may be required to verify their identity and provide proof of age and entry eligibility. The Winners will be notified via a public Instagram & Facebook post and a private Instagram/Facebook message from the @ivadore Instagram or Facebook account on the 5th of April 2018 by 5pm AEST. If the winner and/or runners-up cannot be contacted or do not claim their prize within 14 days of notification, we reserve the right to withdraw the prize from the winner/runner(s) up and pick a replacement. The winner will be contacted in writing by the Promoter and provided with details as to how to claim their prize. Where prizes are lost, stolen, damaged or tampered with, for reasons beyond the control of the Promoter, the Promoter is not liable. 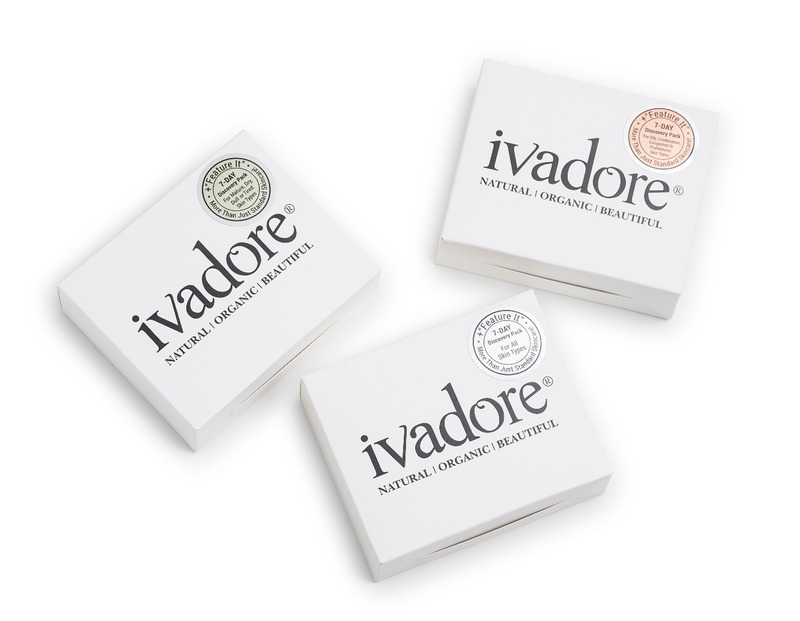 The Winner accepts the Prize at their own risk and the Promoter takes no responsibility for any allergic reactions, negative results or other issues experienced by the winner, however ivadore undertakes to answer any questions the winner has about ingredients and potential risks to the best of its ability prior to supplying the Winners with their prize. The competition and these terms and conditions will be governed according to the laws of the State of Victoria and any disputes will be subject to the exclusive jurisdiction of the courts of the State of Victoria. ivadore shall have the right, at its sole discretion and at any time, to change or modify these terms and conditions, such change shall be effective immediately upon posting to this webpage. ivadore also reserves the right to cancel the competition if circumstances arise outside of its control. This promotion is in no way sponsored, endorsed or administered by, or associated with, Instagram, Facebook or any other Social Network. You are providing any of your private information to ivadore and not to any other party. Any questions, comments or complaints regarding the Promotion will be directed to the Promoter (info@ivadore.com.au) and not to the Social Networking Site. Entrants release the Social Networking Site and its associated companies from all liability arising in respect of the Promotion, to the extent allowable by law. Want To Know How To Keep Your Skin Young & Beautiful? 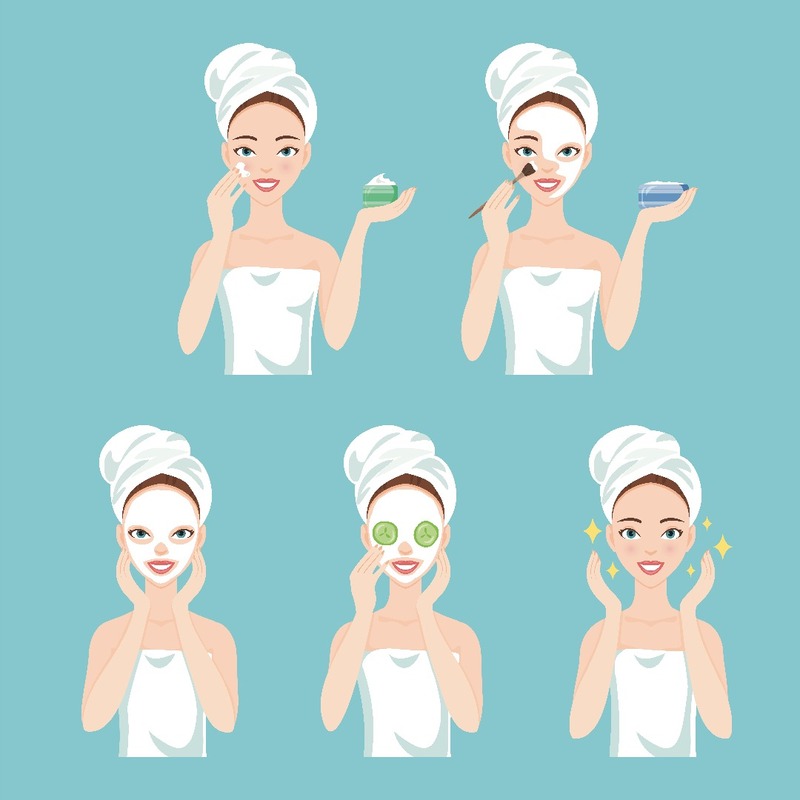 When you’re young, it’s easier not to think about ageing and dismiss all those anti-ageing messages as being for those in their 30s+, but the truth is your 20s is really when you want to START thinking about protecting your skin from pre-mature ageing. So that’s what we’re here to talk about today! Get 20% Off Our 7-Day Discovery Packs & Receive A FREE Mineral Powder Sample! 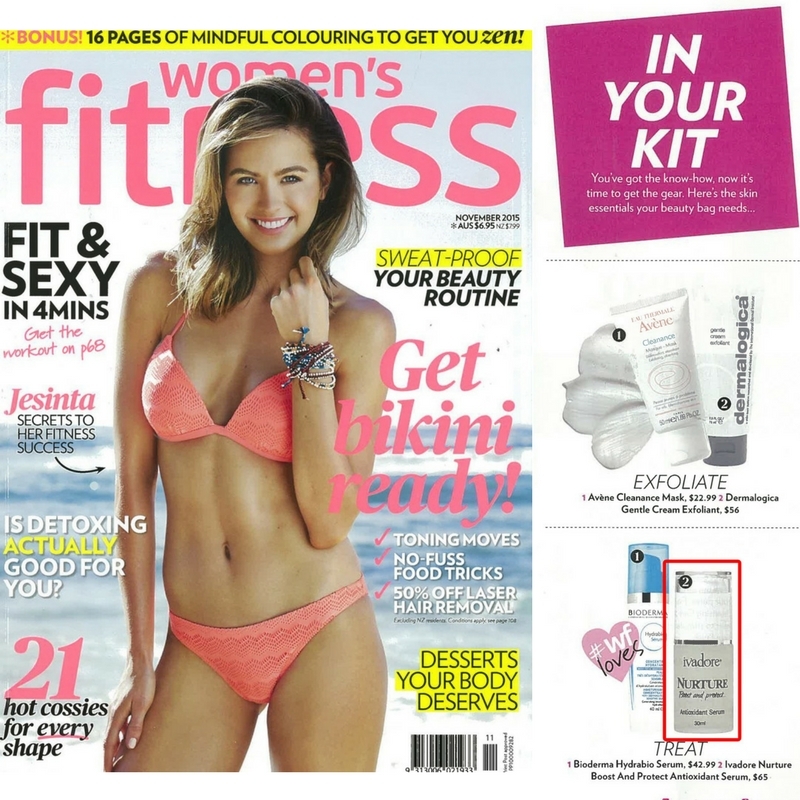 Want to try our products mentioned above? Get 20% off our 7-Day discovery packs + receive a FREE mineral powder sample with every purchase! Simply choose your colour at checkout. Not Sure What Your Skin Type Is? Take Our 3 Step Survey! Are You Using The Right Ingredients For Your Skin Type? Take Our 3 Step Survey below to find out which pack would suit your particular skin type! "I’ve been using the skincare for the past two weeks and I can tell you with 100% honesty that it has been a total revelation. The two main concerns I had were that the polish would irritate my skin (it doesn’t) and that the serum + oil combination would make my skin break out (it didn’t). 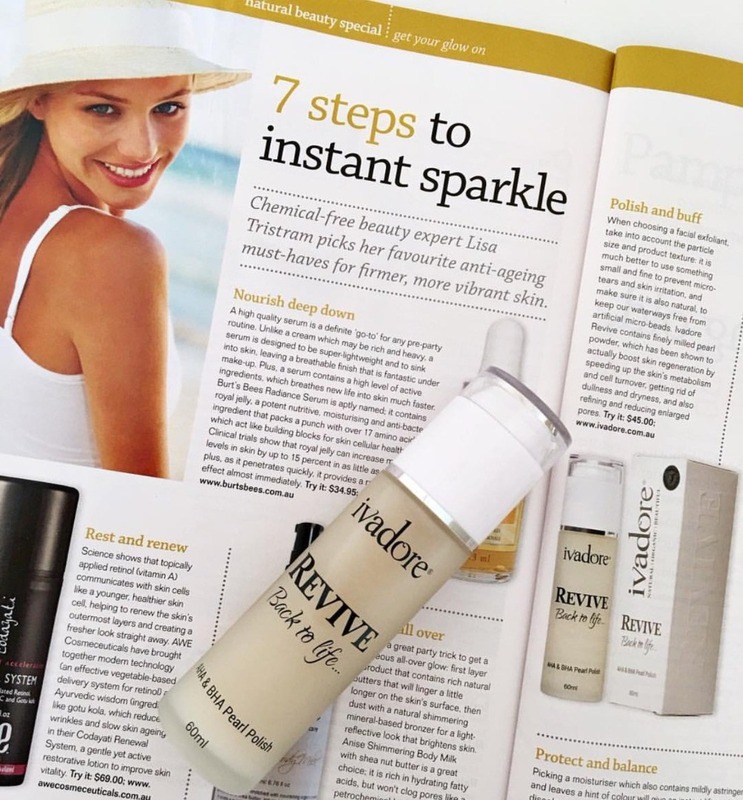 Ivadore has actually really softened and plumped my skin… My skin looks better than it has in ages! " "I am 47 and have those annoying age spots and tired looking skin. I bought these products and I will never use anything else now. I have only been using the products for 4 days now and they have faded by half. Ladies these products are the real deal." "I've used many different powder foundations now for many years & I must say that the new Ivadore powder is different than any others I have used, it has a fuller coverage & sits very well on the skin. I used 2 different shades light & light medium, I felt the shades ran dark compared to others, where usually I would be a medium in this brand I would choose light." "This new powered is amazing! It offers fabulous cover without having to use much at all. My sample pot is still going strong after many weeks of use so a little goes a long way. 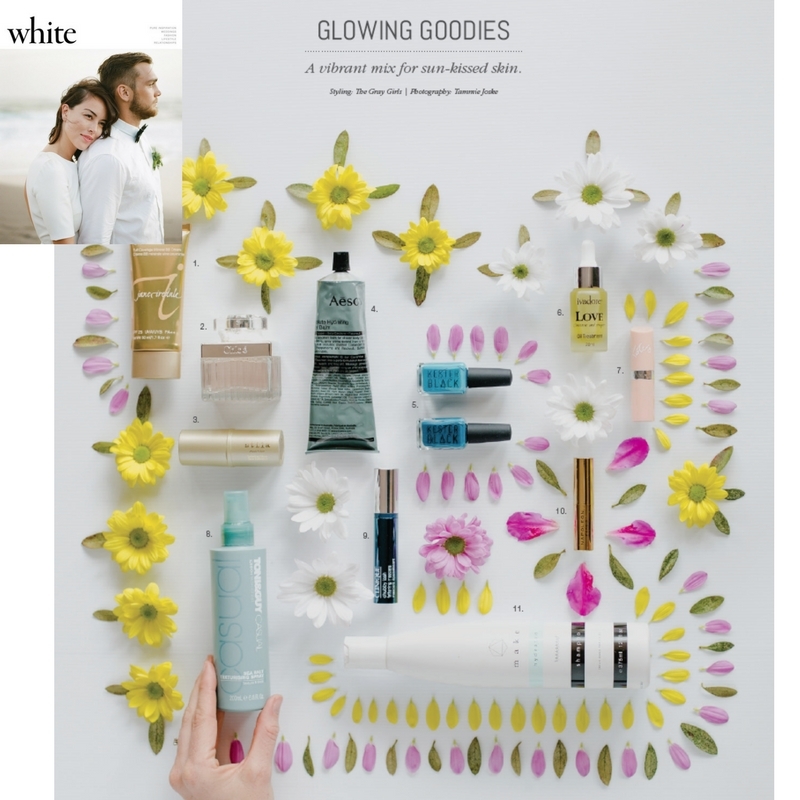 It has fabulous light reflecting coverage, avoiding that dull matte look. Look forward to purchasing my full size pot!" "I have been searching for so long, to find a skin care range that actually "does what it says on the tin". They all promise you will look ten years younger and how amazed your friends will all be. I tried them all, and let me tell you, there were no amazed friends!! I saw the advert for a seven day trial for Ivadore on Facebook, and thought, here we go again, but one day I gave in and ordered it. I have to say, I am honestly amazed (at the risk of sounding like a cheesy informercial) at the results. I actually do look younger, and my fine lines are virtually gone. I'm nearly 47, and having spent most of the 80's sun baking within an inch of my life, my skin was showing it. I cannot recommend Ivadore highly enough. It really has made me feel so much more confident and beautiful. Which is a big call, because I never wear make up, so what you see is what you get. 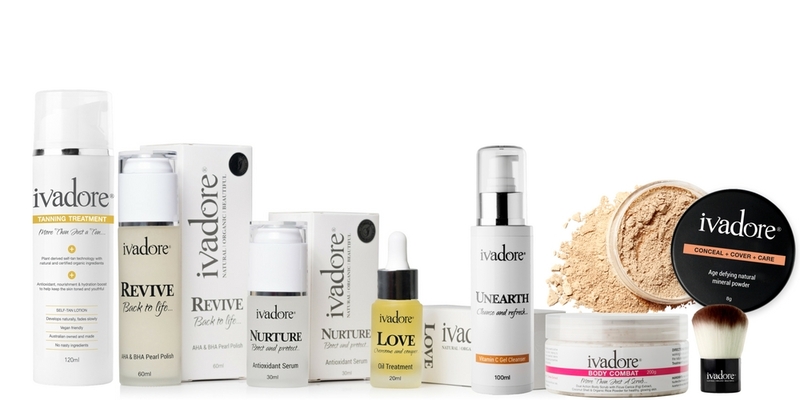 Thank you Ivadore, for finally creating a range of products that actually work."